The Archive As A Site Of Political Confrontation. Or How To Sing Out Of Tune? 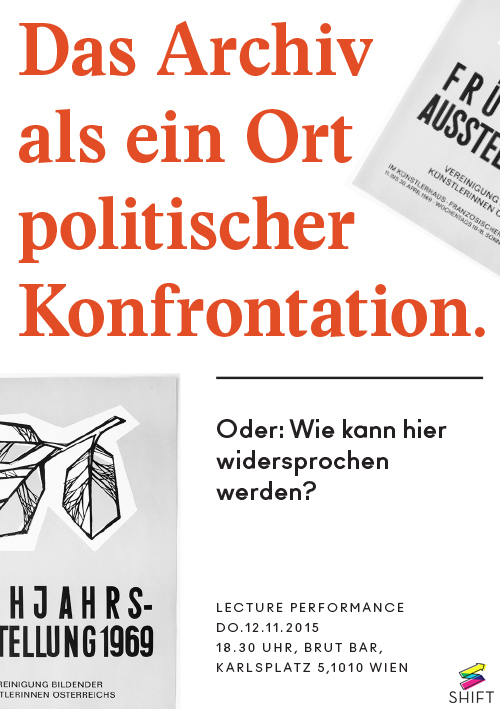 The lecture performance deals with the activities of the VBKÖ from the time of National Socialism until the 1980s. What kind of exhibitions were organized? Who were the members of the association? Was the role of the VBKÖ during the time of National Socialism discussed after 1945? Were the members of the association in touch with local feminist art movements during the 1970s? We question the archival materials in terms of continuities, gaps and resistance in an attempt to figure out what space of action could the VBKÖ provide today. How can a historical engagement be a political intervention into the present? Gefördert aus den Mitteln von SHIFT. / Funded by SHIFT. 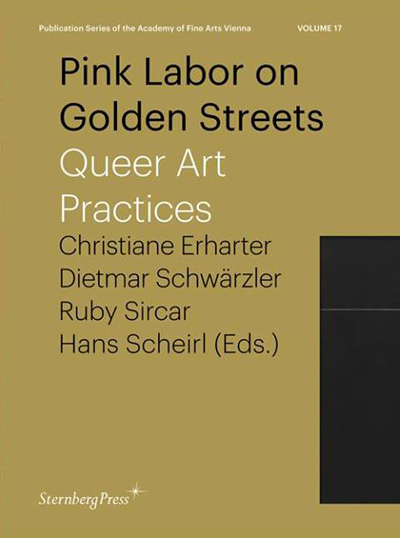 Pink Labor on Golden Streets: Queer Art Practices is particularly concerned with combining, juxtaposing, or playing off various artistic strategies where form and politics intervene. Two artistic attitudes, often perceived as divergent, are described here: the choice of form attributed to political issues versus political stances dictating the question of form. This book sheds lighton contradictory standpoints of queer art practices, conceptions of the body, and ideas of “queer abstraction,” a term coined by Judith Jack Halberstam that raises questions to do with (visual) representations in the context of gender, sexuality, and desire.